On Wednesday February 13, 2013, Gus Johnson made his Fox Soccer Channel debut by doing the play-by-play in the network's broadcast of the Champions League match between Real Madrid and Manchester United. The match ended in a 1-1 draw and on the whole, I think Gus Johnson did a good job on the broadcast. Was he perfect? No, but then who is, especially their first time calling a game in a sport that they're still new too. I admit that I did not watch the match, rather I listened to it via SiriusXM FC, which aired the audio from the FSC broadcast. That makes my experience a bit different from those who watched it, but I was able to keep up with what's going on fairly well with just the audio. I'm not in the mood the debate the pluses and minuses of what FOX is doing in its efforts to groom Gus Johnson for its upcoming World Cup finals coverage. There's been plenty of that lately, much of it irrational, insular, and disconnected from the realities of the business of sports in the United States. 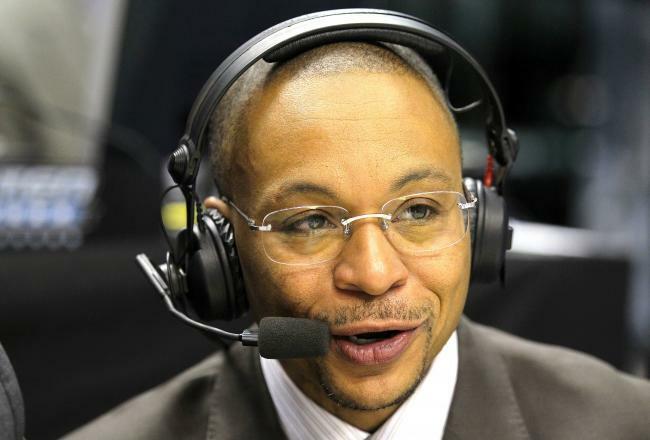 I'll make no bones about the fact that I've long wanted Gus Johnson to start covering soccer and I'm happy that FOX has made this move to get him into the booth for high level soccer matches.